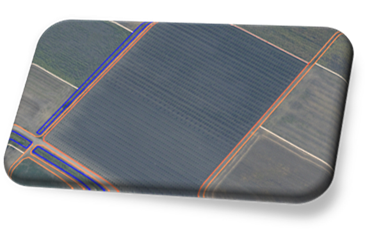 DTM (Digital Terrain Model) is derived from stereo pairs of aerial images. 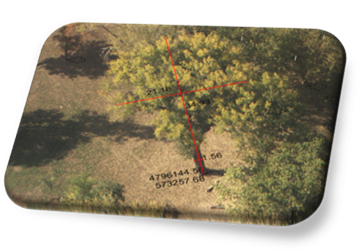 Using aerial imges and DTM, high resolution orthophoto maps can be developed, 5cm to 20cm GSD. Analog cadastral plans are being digitized. This process provides comparison of existing parcel borders with data from cadastre. In this manner, necessary evidence for renting state land is established, as well as system for subsidies monitoring in agriculture. 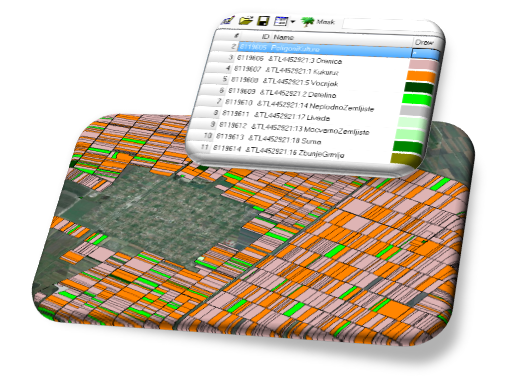 Land parcel polygons with land use information can be created using modern technology and aerial images. 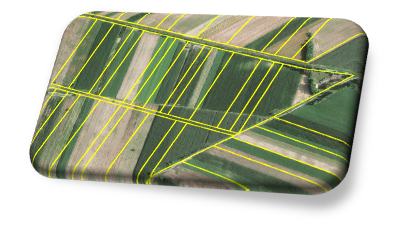 This is the way for collecting data on the quatities of certain crops and their conditions in the moment of aerial survey. Forest areas are separately surveyed and methodical processed, for production of planning documents and monitoring of forest stands conditions. 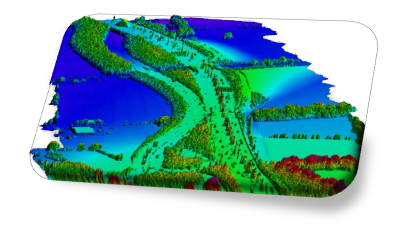 State canal system condition data can be collected using modern technology and aerial images. Construction planning and monitoring of state canal system for irrigation and drainage can be conducted by using digital terrain model.